This program is for children that turn four by September 30th of the school year. 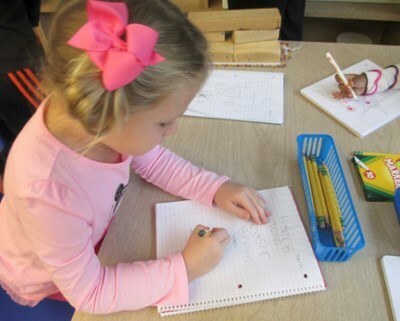 The Pre-Kindergarten Program is geared to extend the foundation set in our Preschool Program. Special focus will be placed on building and enhancing skills in all academic areas and gaining the self-control, confidence and independence necessary to be prepared for Kindergarten. Registration for the 2019-2020 school year begins Monday, January 28 for district resident families not currently enrolled and Tuesday, February 12 for nondistrict families. Enrollment is limited and available on a first come, first served basis. We utilize a wait list and do accept from that list when possible. All registration is done online through our easy-to-use, safe and secure Eleyo software. Please view this document and follow the directions to begin registration. Registration takes about 15 - 20 minutes and will need to be completed at one time. There is a $100 non-refundable registration fee, paid when your child is officially enrolled. If you have any questions, please contact Early Childhood Assistant Lisa Miller at (216) 831-8601. © 2019. Orange Community - All Rights Reserved.